The first of May marked the end of Mirvac's 11-year residency in Chatswood, with all 293 residential apartments at Era now officially settled and owners moving in. 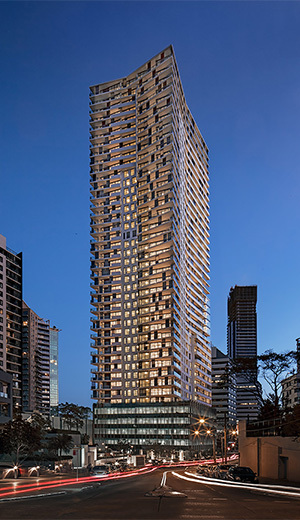 Era was the final project at the highly successful Pacific Place, Chatswood site after Altura, Cambridge, Epica and B2E towers. Era is a 42 level tower featuring numerous amenities for residents, including a gym, indoor heated pool with adjoining lounge area, sauna and outdoor BBQ alongside a grassy park. To commemorate 2014 Chinese Year of the Horse, the new public park created by Mirvac also features a magnificent sculpture of a horse. ‘Relic’ is a life-size working horse, sculpted from metal and salvaged industrial objects by Braidswood sculptors Andy Townsend and Suzie Bleach. Congratulations to all the new owners at Era - we hope you enjoy your new home.